Loki and Thor have switched bodies in "When Gods Go Mad!" Script by Stan Lee, pencils by Neal Adams, inks by Joe Sinnott. 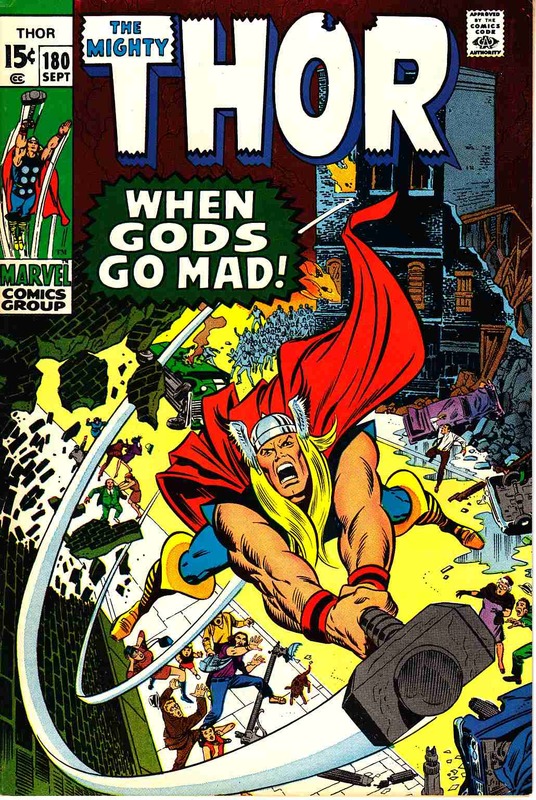 Appearances by Sif, Balder, Odin, Hogun, Fandral, Volstagg, and Mephisto. Galactus cameo. Neal Adams/Marie Severin and Joe Sinnott cover. *light soiling along back cover outer edge.